I remember having lots of toys to play with at bath time when I was a kid. Miss O goes through phases where she either loves or hates the bath. 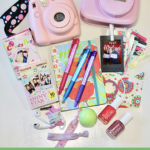 To help ensure that it’s always a pleasant experience, I like to make sure she has lots of fun things to play with. Most recently I bought some pool noodles. Those spent two days being swung around my house by Daddy & Miss O. Luckily nothing got broken. Before that could happen, I decided to cut them up for their intended purpose! I found a plastic bin in my basement that seemed the perfect size to hold my pool noodle pieces. I sat in my backyard during naptime, cutting the noodles over the bin into about 2-inch pieces. The serrated knife helped cut through them very quickly and easily. 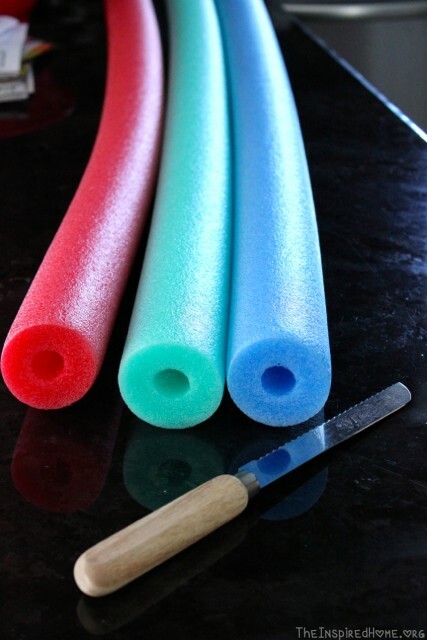 Once your pool noodles are cut, dump them into a bathtub full of water! The first time we used them I simply filled the tub with them before she came into the bathroom. Since then we have had baths where I dump the entire bucket over her head and some where we just play with a few pieces. The noodles are fun in and of themselves but you can also use them to learn! Try counting them, sorting them or stacking them. Daddy gets a kick out of sticking them to her dry hair in a fancy crown. 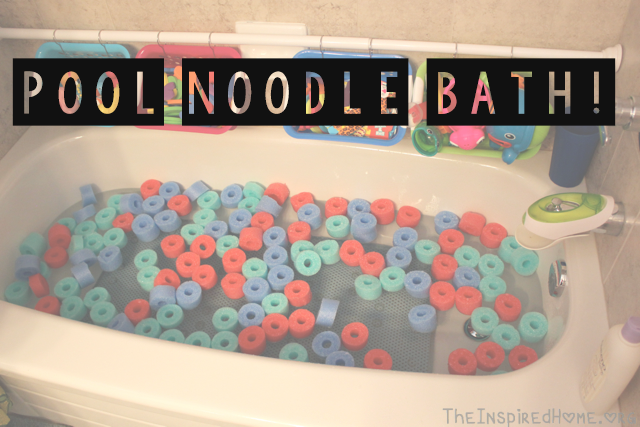 I suggest allowing the noodles to hang out in the tub for a few hours to dry off then you can store them in your bin. 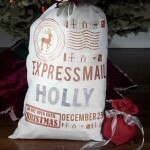 Otherwise you may want to use a container with holes or else a mesh laundry bag to store them. 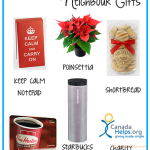 Simply leave the container or bag in the tub overnight and let the water drain. The nice thing about pool noodles is that they don’t hold a lot of water to begin with. 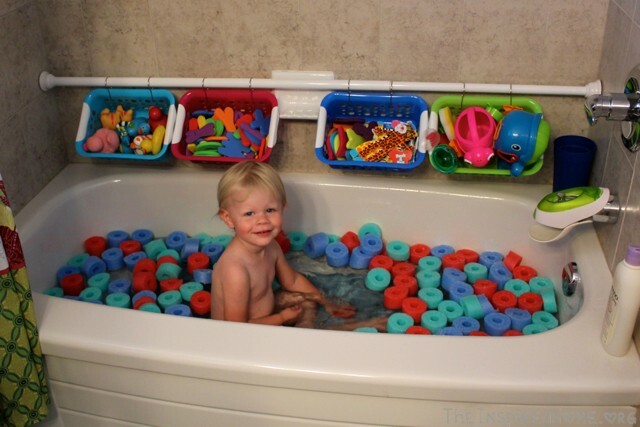 Want to learn how to organize your bath toys like I have? 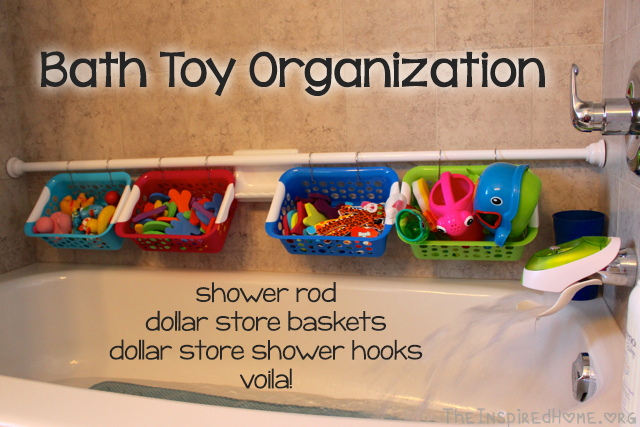 Be sure to check out our Bath Toy Organization tutorial! The noodles are a great idea!! 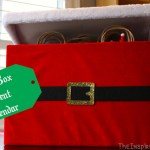 But I have to admit, my attention was totally stolen by the cubby boxes hanging from the shower rod! That is an amazing idea to hold toys!! !